Hard rock and heavy metal band KISS is currently on their last-ever tour, titled “One Last KISS: End of the Road.” They’ve decided to perform in their classic, iconic makeup and platform boots. The group has been in the industry for 46 years. Courtesy of Wikimedia Commons. After 46 years in the music industry, the self-proclaimed “hottest band in the world” will be hanging up their platform boots and makeup brushes. 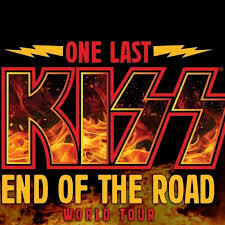 Classic hard rock and heavy metal group KISS kicked off 2019 by embarking on their last-ever tour, aptly titled, “One Last KISS: End of the Road.” In true KISS fashion, they are going out with a bang. Having sold out most of the dates on the tour already, it is refreshing to see that, given the current oversaturation of mumble rappers and industry plants in the music business, the world still has room for a band like KISS. KISS formed in New York City in 1973 as the brainchild of rhythm guitarist/lead singer Paul Stanley and bassist Gene Simmons, the only original members in the band’s current lineup. Following their decision to recruit Peter Criss for drums and Ace Frehley for lead guitar, the band started performing in the city, cultivating a reputation for their theatrical live performances and iconic makeup. 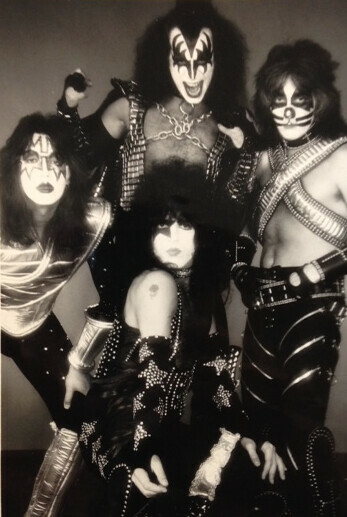 After selling countless hit records, experimenting with new styles (including a decade of performing without the makeup) and surviving lineup changes, KISS decided that they would embark on their Farewell Tour in the year 2000, as tensions resurfaced among the members of the recently reunited “classic” group. Although this tour was marketed as the band’s “last tour ever,” after Frehley and Criss quit for a second time, Paul Stanley and Gene Simmons decided they would continue regardless, recording two albums with new recruits Tommy Thayer on lead guitar and Eric Singer on drums. The band members decided to keep the makeup for this last portion of their careers, with Thayer and Singer performing with Frehley and Criss’s trademark looks, respectively. For the most part, the setlist was stellar. The band played incredibly tight renditions of hits such as “Lick It Up,” “Heaven’s On Fire,” “Calling Dr. Love,” and they even gave a nod to Ace Frehley by playing his song, “Cold Gin.” The only head-scratcher in the set list was “Say Yeah,” a song off the band’s horrifically bland 2009 album “Sonic Boom.” The track sounds like something Journey would write, that standard pop-rock chord progression with generic lyrics. All in all, the show was a shot of adrenaline from start to finish, with the band ending with their most well-known song, “Rock and Roll All Nite.” My advice to everyone reading this article: Go see the show. There will never be another band as dynamic as KISS.